Buy premium private proxies that won’t spoil your plans. 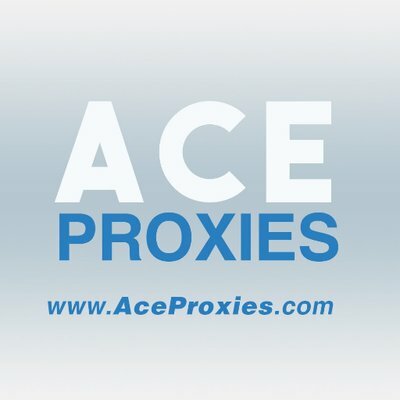 Aceproxies offers the best reliable Datacenter and Residential proxies for any needs. To buy these proxies you need to ask in a live chat on the official Aceproxies website, dm on twitter or discord. Buy premium private proxies that won’t spoil your plans. Aceproxies offers the best reliable Datacenter and Residential proxies for any needs. Datacenter Proxies guarantee 99.8% network uptime, access to any site and compatibility with any software, unlimited bandwidth and 1 GBPS speed. There are several pricing plans: 1-day ($1.49-$399.99) and 1-month($4.99-$749.99) proxies. Residential proxies. Offer residential IPs, unlimited traffic but limited bandwidth, multiple subnets and cities. The price per one 24-hour proxy is $1, and for 1 GB - $30. To buy these proxies you need to ask in a live chat on the official Aceproxies website, dm on twitter or discord.